I’m the most excited about this week’s update than any yet because it has really made the boring old spare room feel like it’s transformed into a nursery. It’s giving me all the baby feels and makes our baby girl’s pending arrival feel even more real! It’s the nursery furniture! I received this gorgeous nursery furniture ensemble from Child Craft and I couldn’t love it any more. It’s a sturdy, solid collection that we will get many years of use out of and the elegance is unlike any “baby furniture” I’ve seen before. 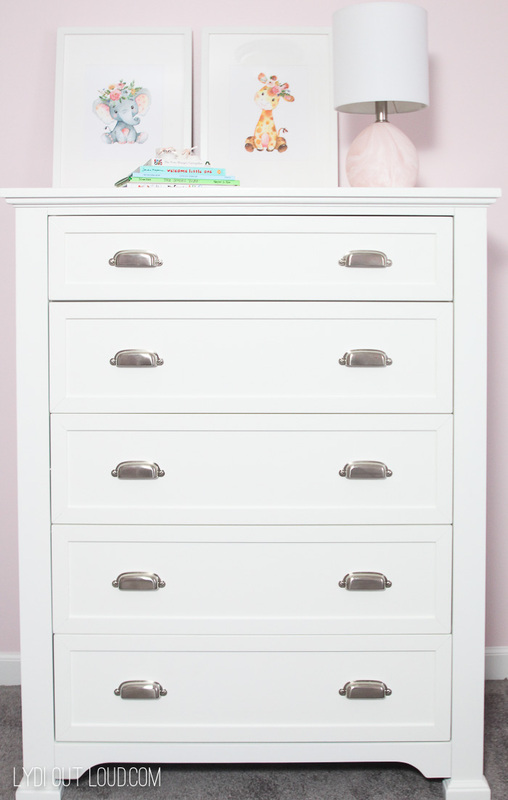 We chose the Child Craft Roland Collection, including the 4-in-1 Convertible Crib, the 5-Drawer Chest, the Double Dresser and the Universal Premier Dressing Kit. 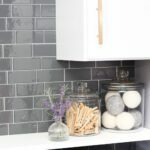 We went with white since it fit our nursery decor best, but the collection comes in a beautiful greyish color called Mist as well. 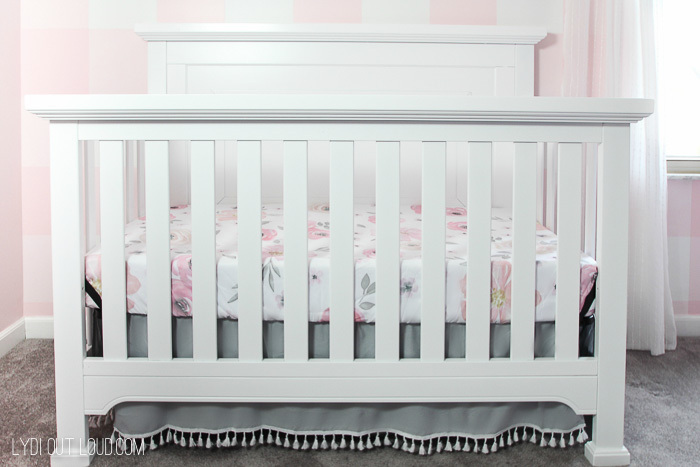 The crib has 3 adjustable heights is a convertible crib so it will transition to a toddler bed, day bed and full size bed so our little girl will be able to use it throughout growing up. 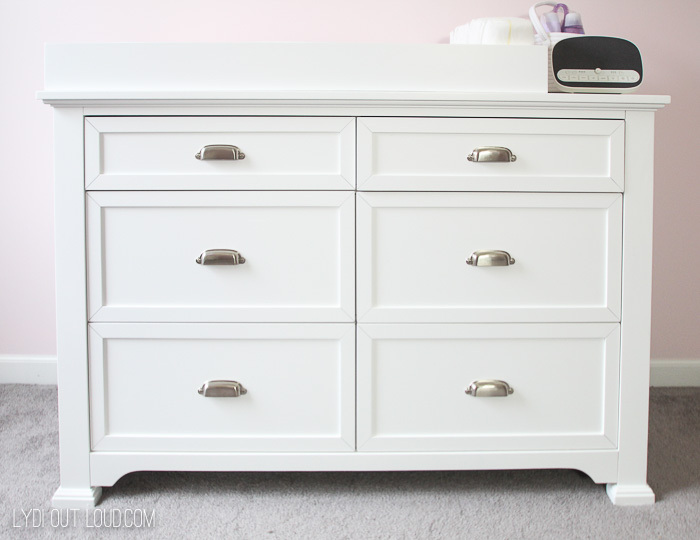 I LOVE that we can use a dressing kit to transform the double dresser into a changing table so that we have a beautiful dresser to use long after the diaper days are over. Definitely beats having a dressing table that we’ll only have for a couple of years! 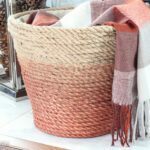 I’m not gonna lie guys, I’m in full on panic-mode for all that has yet to be done before the big nursery reveal next week! Wish me luck and I’ll hope you’ll stop back to check it out! 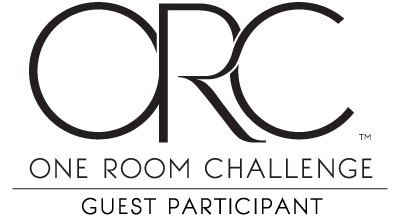 Have you checked out any of the other amazing transformations underway on the One Room Challenge site? 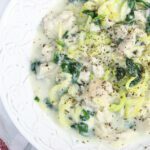 I’ve had so much fun following along and have discovered some amazing new blogs as a result! Wow! That furniture is darling and profound! I will be getting that set in mist. Great great job! Thank you Briityn, so glad you love it too! This looks amazing! The furniture is obviously high quality. 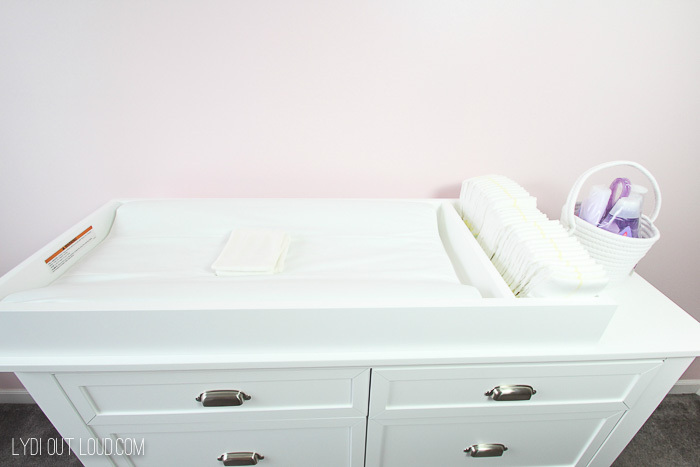 Love the changing table on top of the double chest. I love that too Eileen! Thanks for stopping by!